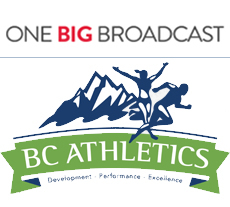 BC Athletics (BCA) Recognizes OneBigBroadcast’s (OBB) Sports Marketing and Event Coordination Platform As Key Management Tool to Achieve BCA Mission. The OneBigBroadcast Platform will be deployed during 2014 across six flagship events for BCA, implementing the OBB Event Management tool kit, Search & Social Media to the events, making them visible through real time video streaming across all of British Columbia and Canada . At the annual BCA Awards Dinner held 7th of December, The Legion National Youth Track & Field Championships and OneBigBroadcast (OBB) were awarded the Executive of the Year Award for event design, management and execution, including the application of the OBB members Social Media platform and event management tools. “The Legion National Youth Track & Field Championships are a window into the future Canadian Championship and Olympic Games Athletics Teams. To stage the Canadian Championship requires the coordination of national, provincial and local organizations, sponsors and volunteers. To successfully present the Championships and keep all of the moving parts in order requires a Local Arrangements/Host Organization that has a vision, commitment and delivers. 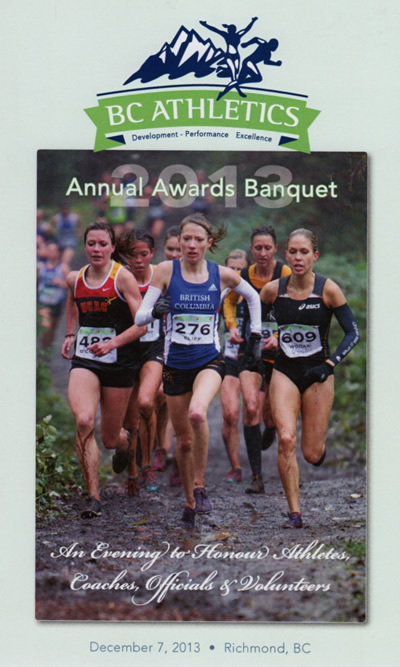 “Such was the case for the 2013 LAC of the Legion National Youth Track & Field Championships. It was for the first time in the history of the Championships lead by the Ladies Auxiliary – BC/Yukon Command. The LAC not only raised almost 1.12 million dollars in Cash and Value-In-Kind support but brought the Championships to the people of Canada through a Social Media and grassroots campaign using a new Event Management Content Creation and Capture platform from OneBigBroadcast, a WebStager Company. OneBigBroadcast.com’s Sports Marketing Platform combines layers of applications and social media marketing tools to raise visibility for any event while enhancing sponsor value through massive distribution and exposure. A key component is a unique community portal where fans, athletes and sponsors have access to their own private member-only profiles, social marketing tools, blogs, and galleries to report their own event experiences and share their own stories and experiences. Each individual can connect directly via special programs to their own social networks sharing their own views of the event on a every level: individual, team, friends and family, and the world in general. The combined community attracts massive visibility from a fan’s or community perspective. While delivering content the event becomes a continuous online production. Watch events transpire live and immerse yourself in the experience of other members. Become a part of the Celebration community and share in a new movement of social networking and technology. Another key component used to report on the event in real time and raise sponsor value are the social casting tools used by the event’s exclusive social casting team. This layer of content distribution spans the event while social casting team’s photographers, videographers, bloggers and reporters are covering the event from a multi faceted perspective in areas of the even only they have access. The platform is used to schedule content, display images, video and blogs while special mobile applications report on event details such as official results or delays in venues. The social casting team has the ability to create event content pages in seconds due to the platform’s intuitive design. As venues change or new perspective’s arise content containing video, images or any other content can be created for immediate display or scheduled for viewing by the public or private community. By harnessing social media marketing tools from a central dashboard the event’s web site becomes the focal point and distribution portal for massive content thanks to the social casting team, meanwhile the community portal builds an active community for years to come. In a deeper data experience behind the scenes are analytics applications and big data appliances all focused on delivering rich data beyond what any other application platform can deliver. Combined the platform delivers the most current information to enhance fan and sponsor value. Community members combined with the social casting team are the stars of an exclusive online production, all working behind the scenes to create the ultimate social experience for any event. At OneBigBroadcast.com we strongly believe that “THE MEDIUM IS STILL THE MESSAGE” and that the dynamics of message and event are now more entwined than ever before.